International Vision Expo & Conference East closed on Sunday, April 17 to increased attendance, as more than 16,000 attendees gathered in New York to celebrate the conference’s 30 years of empowering the optical community through dynamic education, exclusive buying opportunities and meaningful partnerships. Early reports show that attendance for 2016 matched Vision Expo’s record-breaking levels from 2012 and 2014. More than 5,000 global brands were represented, with attendees traveling to the conference from all 50 United States and 94 countries. Education registration broke records for overall attendance as well as unprecedented participation by students and special events held in conjunction with the show maxed out venue capacities. Hundreds of exhibitors leveraged the exposure opportunities at Vision Expo to launch new products, technology and showcase the latest fashion trends to a heavy media presence, including strong representation from fashion bloggers and popular consumer outlets such as People Magazine, Promenade, and Yahoo Style & Travel. Vision Expo exhibitors and products. 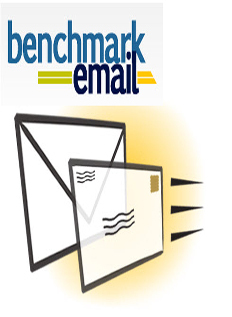 •	350 hours of education, including 143 hours of newly developed content addressing top-of-mind issues in clinical, optical technology and business solutions education. Co-owned by The Vision Council and Reed Exhibitions, International Vision Expo has been a critical supporter of Vision Council programs that have generated over 16 billion consumer media impressions with messages about digital eye strain, UV protection, eyewear fashion, vision health and the importance of annual comprehensive eye exams. One campaign in particular, The Vision Council’s Think About Your Eyes campaign of which Vision Expo is a proud supporter, has contributed to more than 1.5 million new eye exams. Recognizing the impact the initiative has had on patient awareness as well as business for the ECP community. International Vision Expos, the worldwide conference and exhibition for eyecare and eyewear, are trade-only events that draw more than 30,000 eyecare professionals each year. Co-owned by Reed Exhibitions and The Vision Council, International Vision Expo gives back to the entire ophthalmic community. 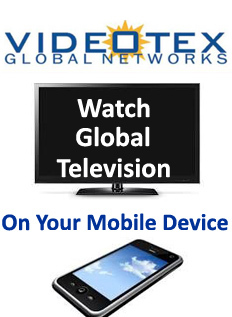 Vision Expo East Ranks 74th on the 2014 Trade Show Executive magazine’s list of the Gold 100 Largest Trade Show List. 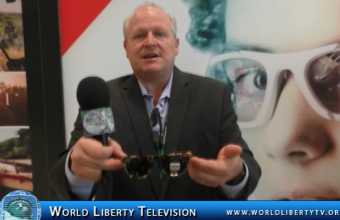 Proceeds from International Vision Expo are used by The Vision Council to educate consumers about the importance of vision care and the options in eyewear and other related products. Each year, The Vision Council reaches millions of consumers with its messages through marketing materials, public relations outreach and strategic partnerships. International Vision Expo & Conference is a proud supporter of Think About Your Eyes, a national public awareness campaign, presented by The Vision Council and the American Optometric Association, designed to educate the public on the benefits of vision health and promote the importance of getting an annual comprehensive eye exam. Keep this vital campaign going! 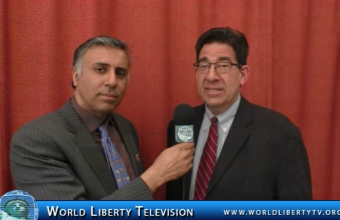 World Liberty TV, Team was on hand at the Vision Expo and interviewed the movers and shakers of these industries ,see what they had to say right here in our World Liberty TV, Health & Beauty Channels. Dr. Mitchel B. Wallerstein became the President of Baruch College of the City University of New York on August 2, 2010. Baruch College is home to the nation’s largest collegiate business school as well as prominent Schools of Arts and Sciences and Public Affairs. It is known as one of the most diverse schools in the United States with a total student population, undergraduate and graduate, of more than eighteen thousand. Prior to his appointment as president of Baruch College, Mitchel Wallerstein was the Dean of the Maxwell School of Citizenship and Public Affairs of Syracuse University from 2003-2010, where he also held an appointment as a tenured professor of political science and public administration. The Maxwell School has been ranked by U.S. News & World Report for the past seventeen years as the nation’s leading graduate school of public affairs. The Maxwell School also serves as the social science division of Syracuse University, annually teaching more than 5,000 undergraduates and approximately 850 graduate students in eight disciplinary departments. Prior to joining the Maxwell School, Mitchel Wallerstein was Vice President of the John D. and Catherine T. MacArthur Foundation in Chicago, Illinois, which is one of the world’s largest philanthropic organizations. From 1998-2003, Dr. Wallerstein directed the Foundation’s international grant making program, known as the Program on Global Security and Sustainability, which makes more than $85 million in grants each year throughout the world in the areas of international peace and security, conservation and sustainable development, population and reproductive health, human rights, and issues related to globalization. Mitchel Wallerstein was appointed by President Clinton in 1993 as Deputy Assistant Secretary of Defense for Counterproliferation Policy and Senior Defense Representative for Trade Security Policy. During his five-year tenure in the Department of Defense, he dealt with nuclear, biological and chemical weapons proliferation issues, and he helped to found and subsequently co-chaired the Senior Defense Group on Proliferation at NATO. In January 1997, Secretary of Defense William J. Perry awarded Dr. Wallerstein the Secretary of Defense Medal for Outstanding Public Service, and he subsequently received the Bronze Palm to that award in April 1998 from Secretary William Cohen. Prior to his government service, Dr. Wallerstein was the Deputy Executive Officer of the National Research Council (NRC) of the National Academies of Sciences and Engineering. The Academies are congressionally —chartered, non-profit organizations that advise the U.S. Government on policy matters involving science and technology. While at the NRC, he directed a series of highly acclaimed studies on issues pertaining to science, technology and national security. In addition to his seven years on the faculty of Syracuse, Mitchel Wallerstein’s academic career has included five years on the faculty at M.I.T., as well as an earlier tenure track appointment in the Department of Political Science at Holy Cross College in Massachusetts. He taught on an adjunct basis in Washington, DC at the Elliott School of George Washington University; the Walsh School of Foreign Service at Georgetown University; and the Paul H. Nitze School of Advanced International Studies at the Johns Hopkins University. Immediately prior to joining the MacArthur Foundation in 1998, Dr. Wallerstein was a Distinguished Research Professor at the National Defense University in Washington. Mitchel Wallerstein is the past president of the Association of Professional Schools of International Affairs. 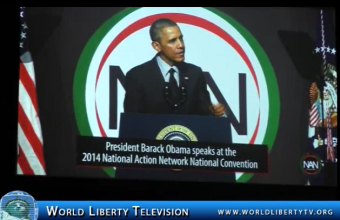 He is an elected member of the Council on Foreign Relations and the International Institute for Strategic Studies. In 2006, he also was elected a Fellow of the National Academy of Public Administration. Mitchel Wallerstein is the author of numerous books, articles, monographs and research studies. His most recent (co-authored) book deals with strategies for combating terrorism. He also recently published an article in the prestigious and widely-read journal, Foreign Affairs. President Wallerstein holds Ph.D. and M.S. degrees in political science from M.I.T., a Masters in Public Administration (MPA) from the Maxwell School of Syracuse University, and an A.B. from Dartmouth College. He is a native New Yorker, who is married with two grown children, one of whom also resides in New York City. 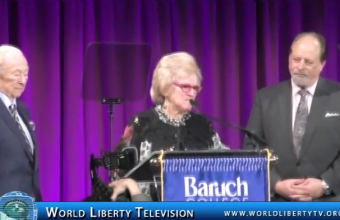 World Liberty TV, was on hand at The 27th Annual Bernard Baruch Dinner , a fundraiser for The Baruch College Fund, See The Exclusive interview with Dr.Mitchel B.Wallerstein, President of Baruch College and the honoree’s and much more right here in our World Liberty TV, Cultural Channel. Ronald Owen Perelman is an American businessman, investor, and philanthropist. Through his company MacAndrews & Forbes Incorporated, he has invested in various companies with interests that encapsulate groceries, cigars, licorice, makeup, cars, photography, television, camping supplies, security, gaming, jewelry, banks, and comic book publishing. Perelman annually is one of the world’s largest philanthropic donors. As of January 2016, Perelman is the 36th richest American, and 80th richest person in the world, with an estimated wealth of $12.2 billion. MacAndrews & Forbes established the Revlon/UCLA Women’s Cancer Research Program in 1994 for research into the causes and treatment of breast and ovarian cancer. The company also founded the Ronald O. Perelman Department of Dermatology at NYU Medical Center. Over the years, MacAndrews & Forbes has also provided significant support for such organizations as the National Breast Cancer Coalition Fund, Carnegie Hall, the Solomon R. Guggenheim Museum, Memorial Sloan-Kettering Hospital and Perelman’s alma mater, The University of Pennsylvania. In 1993, the Entertainment Industry Foundation (EIF) Revlon Run/Walk For Women was created through the combined efforts of Perelman, Lily Tartikoff, co-founder of the Revlon/UCLA Women’s Cancer Research Program, and the EIF. The New York and Los Angeles Run/Walk events together have distributed over $50 million for women’s cancer research, counseling and outreach programs nationwide. 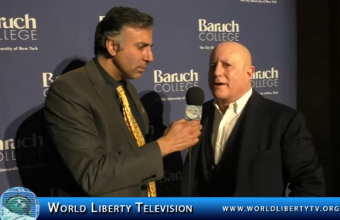 World Liberty TV, had the pleasure to speak about education with Mr Perelman at the Bernard Baruch Dinner, where he was honored with The Prestigious Bernard Baruch Award for Business and Civic Leadership, See what Mr Perelman had to say to us, right here in our World Liberty TV, Business Channel. Ed Brophy was born on December 30th ,1956 in Canastota ,New York ,the same year Canastota’s Carmen Basilio lost and regained the world welterweight championship bouts with johnny Saxton . And that’s exactly what happened from his youth ,where he worked odd jobs to make enough money to purchase The Ring Magazine and other boxing books,a love and passion for the support of boxing was born that would last a lifetime .Thorough the years he has explored all aspects of the sport-amateur boxer, trainer, manager, promoter, and historian . One of the pivotal moments in his life came on March 8,1971 when the 15-year old sat by the radio listening to the round –by round report of “The Fight of The Century “ between Muhammad Ali and Joe Frazier at Madison Square Garden. In 1994 Brophy was named Executive Director of the newly formed International Boxing Hall of Fame.Under the leadership the Hall of Fame opened 1n 1990.The annual Induction Weekend is now held each June to honor those who have excelled and also serves as a reunion for members of the worldwide boxing community. Over the next 26 years the Hall of Fame has seen an addition to the Museum and the construction of an on-site event pavilion to host special events and display the ever growing collection of boxing memorabilia including the famous MSG ring that was donated to the Hall in 2007.
International Boxing Hall of Fame Executive Director Ed Brophy, was inducted into The New York State Boxing Hall of Fame , for his Contribution to Boxing, See his exclusive interview right here in our World Liberty TV, Boxing Channel. Joe DeGuardia Champions are defined as those who reach the pinnacle of their chosen field. Joe DeGuardia has exceeded this definition, turning the pursuits of his passions into repeated success stories. In the ring, the courtroom, the office or the classroom, DeGuardia has proven to be a true Champion time and time again. Born and bred in the Bronx, DeGuardia, the son of a professional prizefighter, excelled in school. Boxing competitively since the age of five, DeGuardia started fighting in organized boxing tournaments at the age of nine. 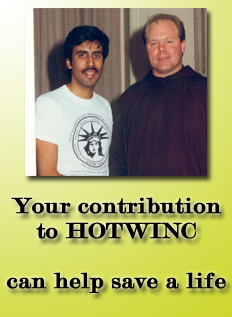 Through the years, DeGuardia won numerous titles in boxing, including the coveted NY Golden Gloves Championship in 1988. Consistent with his ability to master separate fields simultaneously, DeGuardia won the Golden Gloves Championship while graduating in the top of his class at Hofstra Law School. Upon graduating, DeGuardia started his work as a lawyer prosecuting cases for the Bronx District Attorney’s Office. After his success in the District Attorney’s office, DeGuardia founded the law firm that bears his name. The Law Offices of Joseph M. DeGuardia is a highly regarded, successful, Bronx-based law practice that has been repeatedly recognized for its exemplary service. Notwithstanding his work as a lawyer, DeGuardia always remained professionally active in the boxing world. DeGuardia moved the community based Morris Park Boxing Club, which his father had founded, to a new and improved location. In his capacity as chief operator of the club, DeGuardia transformed the business into one of the busiest boxing gyms in New York, while also using it as a base from which to launch his larger business as a top boxing entrepreneur. True to his abilities, DeGuardia excelled in boxing while succeeding in the District Attorney’s office and in private practice. During the years, DeGuardia has promoted numerous boxing stars and world champions and has been recognized as a leader among his peers. In fact, the United States Senate has called upon DeGuardia’s expertise and testimony while formulating landmark legislation pertaining to the boxing industry. Most recently DeGuardia was elected President of the Boxing Promoters Association by his peers. 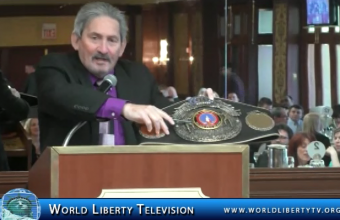 World Liberty TV Boxing Team was on hand at The (NYSBHOF) where Joe Deguardia Jr, Boxing Promoter was inducted in the NY State Boxing Hall of Fame , by Jack Hirsch ,NYSBHOF Nominating Committee Chair.., See exclusive Footage in our World Liberty TV ,Boxing Channel. The fifth annual New York State Boxing Hall of Fame (NYSBHOF) induction dinner, sponsored by Ring 8. The 2016 inductees were selected by NYSBHOF nominating committee members: Jack Hirsch, Steve Farhood, Bobby Cassidy, Jr., Don Majeski, Henry Hascup, Ron McNair, Angelo Prospero and Neil Terens. ABOUT RING 8: Formed in 1954 by an ex-prizefighter, Jack Grebelsky, Ring 8 became the eighth subsidiary of what was then known as the National Veteran Boxers Association – hence, RING 8 – and today the organization’s motto still remains: Boxers Helping Boxers. 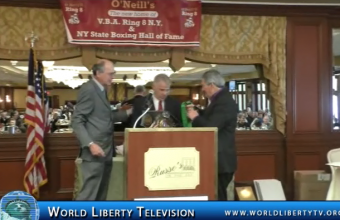 World Liberty TV,Boxing team was on hand for The fifth annual New York State Boxing Hall of Fame (NYSBHOF) induction dinner, sponsored by Ring 8 , ther bringing you exclusive coverage of Class of 2016, Inductee’s right here in our World Liberty TV, Boxing Channel.